For children 4+ years, 40-100 lbs. and 40""-57"" tallGreat for on-the-go and so much more! 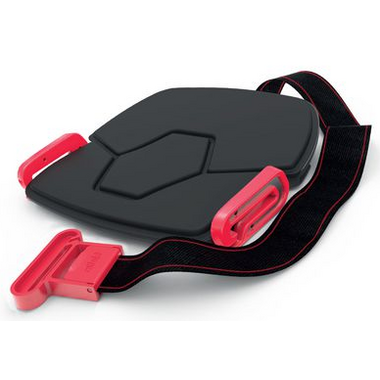 The booster seat you can store anywhere, perfect to leave in the car without losing space. Durable. Hard outer shell protects mifold One™. Comfortable. The comfortable seat made from Supportive DenseFoam™ stays cool even on hot days and is easy to clean. Advanced Engineering. Built using SuperTough™ plastic polymers and aircraft grade Aluminum, mifold One™ is mighty small and mighty strong. Adjustable. mifold One™ can be adjusted to securely restrain all children. Lap belt guides have three adjustments. Fast. Quick-Clip2™ allows quick, easy and accurate adjustment for children of all sizes as well as simple one-handed use, without having to look. A regular booster lifts a child to be in the position of an adult. 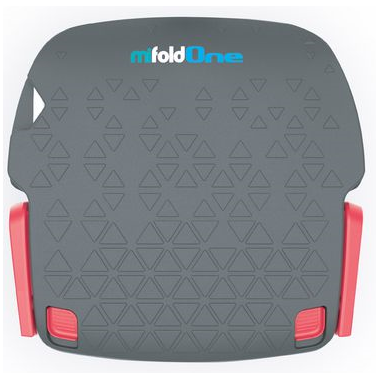 mifold One™ booster does the opposite, without the bulk and height, and holds the seat belt down. Super convenient, easy to use (even for our younger child), portable (that is, we take it in our carry on when we go travelling). We use this instead of booster seats.